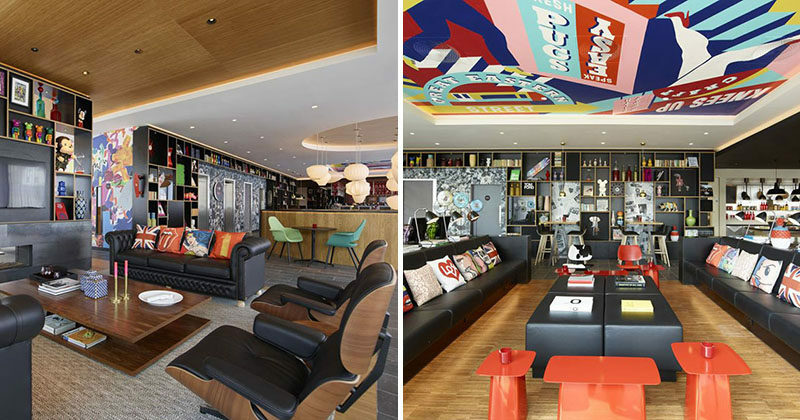 Dutch design firm concrete, were tasked with designing the new Citizen M hotel in Shoreditch, London. 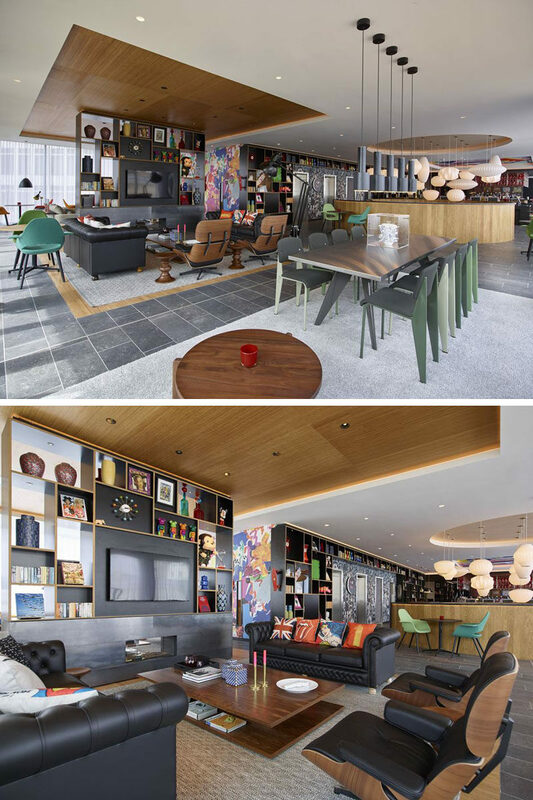 As part of the design of the social area of the hotel, they had to figure out a way to create distinct areas within the larger open plan floor. One way they did this was by creating various areas that were defined by having the section of the ceiling directly above the area recessed. For example the lounge below, the ceiling has been recessed and covered in wood to help define this area. Now not only is the ceiling detail wood, the flooring also matches the outline in the ceiling, clearly defining the area within the larger room. In this second lounge area and computer station, they decided to install artwork within the recessed ceiling. Again, a wood section on the floor directly below the recessed ceiling helps to define the space within the larger room. 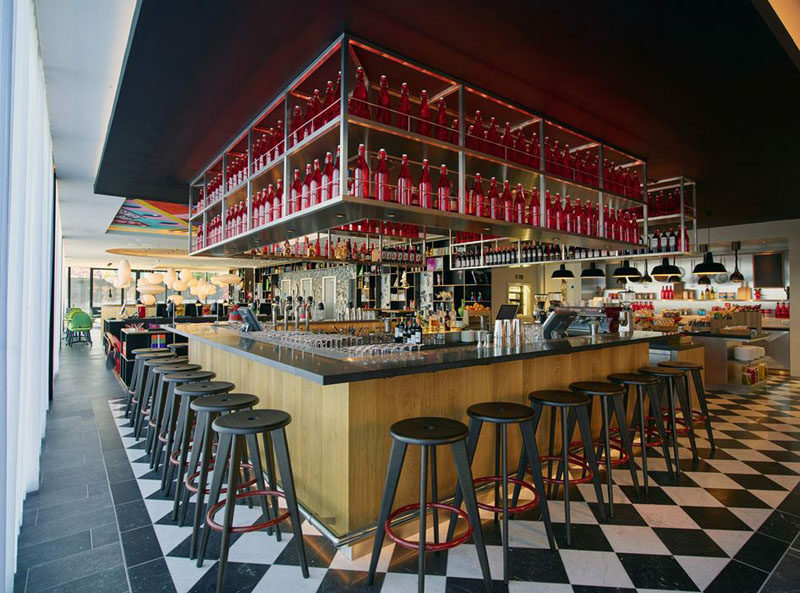 If you like the idea of defining a space but don’t want to recess the ceiling, here’s an idea from the same project that includes a dropped ceiling, positioned perfectly to match the black and white tile flooring, resulting in another defined area, this time, the bar.